Students will love to play this fun game to reinforce both verb vocabulary and forming the future tense in Italian. Can be played in pairs or in groups. 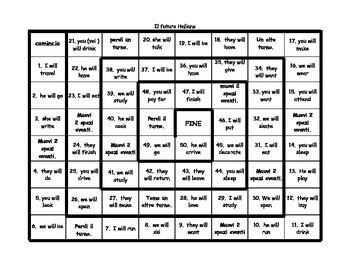 Can be played as a whole class activity or as a station activity. Students love playing this game!